The summer of 1961 was fraught with tensions between Moscow and Washington. Berlin, which had been a Cold War flash point during the Berlin Airlift, was once again the source of tension. 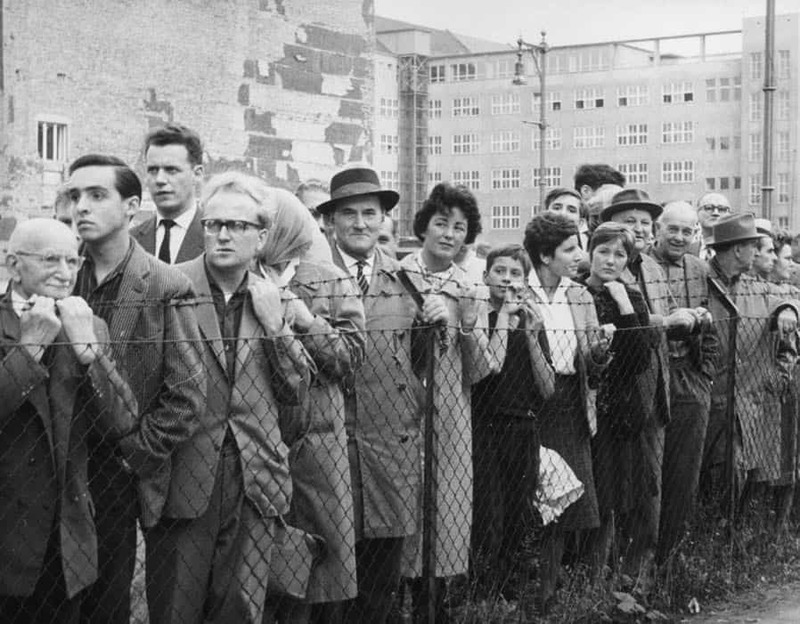 Between 1949 and 1961, some 2.5 million East Germans fled from East to West Germany, most via West Berlin. President John Kennedy in a speech delivered on nationwide television the night of July 25, 1961 reiterated that the United States was not looking for a fight over Berlin and that he recognized the “Soviet Union’s historical concerns about their security in central and eastern Europe.” That was viewed by Moscow as an indication the U.S. would not respond militarily to any move it took regarding East Germany. And so, on the night of August 12-13, 1961, East German soldiers began to install more than 30 miles of barbed wire barrier through the heart of Berlin and blocked East Berlin citizens who tried to travel to West Berlin. On August 15, they began replacing the barbed wire with concrete. The Wall would remain an ugly reminder of the divisions between East and West until it was opened in 1989. In an interview with Charles Stuart Kennedy, Richard W. Boehm, who served in Berlin from 1959 until 1962, discusses the causes and effects of the tensions that ultimately led to the construction of the wall. BOEHM: In the summer of 1961 — I think that it was in mid to late July — President Kennedy gave a speech or made a statement on Berlin. It seemed to me at the time that in that statement he unmistakably made a sharp distinction between the extent to which we were committed to West Berlin and Berlin as a whole. Up to that time we had always taken the position that we made no such distinction, although in practical terms, we made this distinction every day. However, formally speaking and as a matter of policy, we made no such distinction. We said that the four sectors of Berlin were set up entirely for administrative convenience but have no political significance. We said that all of the Allies have rights in all of Berlin. At that time, in July 1961, Kennedy took a different position. He said that West Berlin was what we were really committed to. That left East Berlin out in the cold. There was a mild shock in Berlin, but it didn’t seem to hit the press. It seemed to me that it wasn’t recognized as the major departure from previous policy which, in fact, it was. I’m convinced that it attracted the attention of Moscow, where they pored over every word. BOEHM: Oh, yes, I think it was deliberate. I think that Kennedy was preparing the ground to avoid making a huge, life and death issue out of East Berlin. You can have your own view as to whether that was right or wrong, but in fact I think that that was taken by the Russians as a signal that we weren’t going to go to the mat with them on East Berlin. The Berlin Wall began to go up in the following month. Also, Kennedy and Khrushchev had already met. In Berlin, until the wall went up, you had large numbers of people called border crossers. They lived in one side of Berlin and worked on the other side. Primarily, they lived in East Berlin and worked in West Berlin. There also were people who lived in West Berlin and worked in East Berlin, but there was a smaller number of these. That was a legal arrangement. They could go back and forth on the subway. There had always been a trickle of refugees coming into West Berlin. Suddenly, the whole situation swelled, and the border crossers simply stayed in West Berlin. I’m not sure what it was and I’ve always wondered about it. There was a theory at the time that the refugees knew that something was up. They somehow sensed that the wall was going to go up and they wanted to do something. They wanted to get out of East Berlin while they still could. That seems to be perfectly plausible. They were reading the tea leaves, just as we were. Q: Did you feel the rising tension? BOEHM: Tension, yes, because of the flood of refugees. Of course, that was an everyday involvement for us and our wives, who were working at the refugee camps, feeding people, giving them blankets, and so forth. 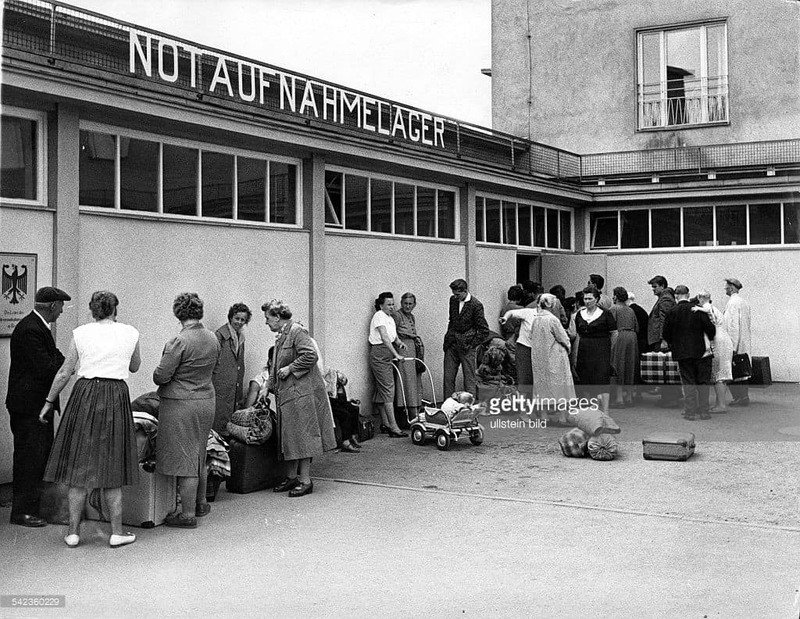 Refugees were pouring in in large numbers, and the refugee camp at Marienfelde (pictured; photo Getty Images) filled up. They were eventually taken to West Germany. We thought that the East Germans would have to stop this refugee flow. I don’t think that we anticipated — I didn’t, anyway — that they were going to build the wall. I didn’t see them as physically building a wall, although there were people who thought that they might do that. We all felt that they had to take some measures to stop this flow. The most likely measure would be to prevent people going from East Germany into East Berlin. They were going through. They would go to East Berlin and then to West Berlin. I haven’t got a breakdown on this, but perhaps a majority of those who were coming into West Berlin were not East Berliners, as such, but were from elsewhere in East Germany. So we had an idea that they might close that border, and they had more or less taken some steps in that direction. 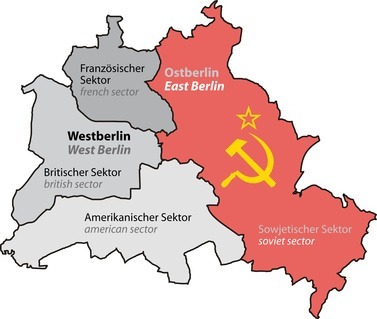 If you were an East German, you had to have a permit to go into East Berlin from elsewhere in East Germany. It seemed more likely that they would cut that off. In fact, they ended up building the wall. I was on vacation in Bavaria. I had taken my wife and children to Bavaria. I heard on the news that something was going on in Berlin — the wall, or something else was happening at the border with the Soviet sector. I cut short my vacation. We went back to Berlin. Depending on how you define the wall, we probably got there two days after construction of the wall started. It didn’t start as a wall, as far as I was concerned. It initially consisted of rolls of accordion barbed wire. Then they replaced that with kind of a flimsy cement block structure. It was worked on over a long period of time, before it became the full-fledged wall. On the day after I got back to Berlin we had a meeting at the U.S. Mission. It was decided that we ought to probe to see how the Soviets were playing the Allied access rights. I think that we’d recognized the fact that we really couldn’t control what was done with Germans going back and forth to and from East Berlin. We wanted to see whether Allied rights of access would be respected, probably as a way of finding out what [the Soviets] were up to or what they were trying to do. Another officer from the Mission and I were instructed to make probes. There were eight or 10 places along the sector border where you could go back and forth to East Berlin. So we took an official Mission car with U. S. military plates on it and went to each of these places to see if we could get into East Berlin. We found that we were able to get through at some places but not at others. We then proceeded to analyze the situation. We thought that instructions had been issued to stop all Allied cars, but not all of the checkpoints had yet been plugged in. Eventually, of course, access boiled down to Checkpoint Charlie. Everything else was closed, but they never actually and totally cut off Allied access to East Berlin…. So the question became, there they are. They’re building this wall. You could see that. What should we do about it? This was where the Mission in Berlin and Washington disagreed on how strong our reaction should be. I think that Washington more or less took the view that unless Allied access were totally cut, our public, propaganda reaction could be large scale, but our physical reaction would be muted. In Berlin many took the view that we should just push our way through the wall and that the Soviets would collapse like a house of cards. Well, it was impossible to get Washington to agree to try that, so it never was put to the test. 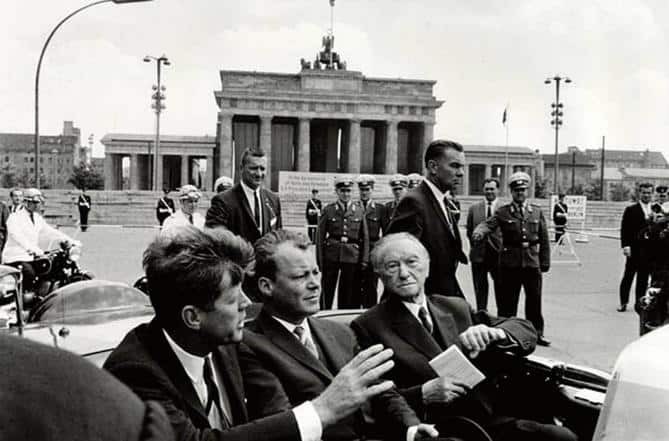 Kennedy’s earlier statement had accepted the fact that East Berlin was gone, in effect. As long as we had a shred, a less than total cutoff of Allied access, we could accept it. So we ended up accepting it. There were all of those terrible incidents, of course, of East Berliners throwing themselves out of windows and landing on the pavement in West Berlin because the sector border happened to be the wall of a house or an apartment building. The people living in a given building were in East Berlin. However, once they were out of the window, the sidewalk below was West Berlin. They would try to get out that way until all of those windows were bricked up. It was a very strange and tragic situation. I think that I felt disheartened by the fact that Kennedy, in effect, had laid the groundwork for this. Washington calls the shots. They make the policy. I felt — and I’m convinced now that I was right — that the Kennedy administration decided not to make a fight for East Berlin. That being the case, there you were. Looking at things from a practical point of view, the wall was right on the sectoral border — and I’m talking about inches. Well, first of all, you couldn’t knock down the wall initially. It was made up of barbed wire. You could push it back but you couldn’t knock it down. Then, when a wall went up, suppose you knock it down, and they build the wall 50 yards farther back in East Berlin. Do you knock it down then? What are the legal aspects? It looked to me like a sticky wicket, given the fact that Washington clearly wasn’t prepared to make a major issue of it. Our hands were kind of tied. I think that that’s probably what I was thinking at the time. Q: What I recall is that around that time Kennedy made a speech saying how awful this was. He called up the reserves. I must say that there was a feeling in Washington that we were very close to war. People talk about the 1962 Cuban missile crisis, but they forget about this Berlin crisis. BOEHM: You people in Washington were scared to death. We were not. I wasn’t and I don’t think that my colleagues were, either. We were right in Berlin. I don’t think that we could visualize the Soviets or, for that matter, Washington, starting a war. 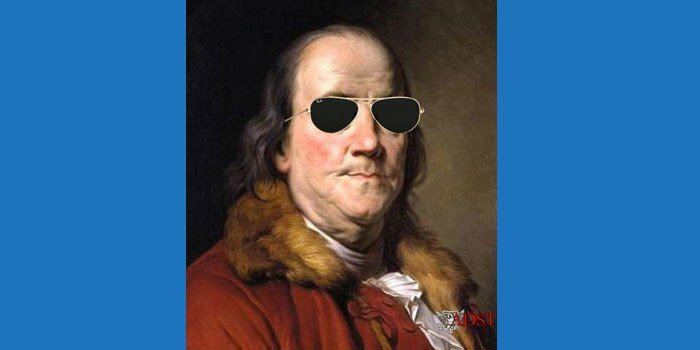 I couldn’t see Washington doing anything unless West Berlin w[as] attacked. I couldn’t see the Soviets doing that in West Berlin. 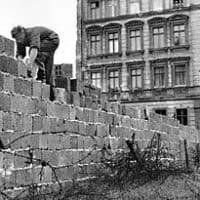 On the contrary, having taken this step — or having allowed the East Germans to take this step — of starting to build this wall, they didn’t want to do anything else. Yes, you’re right. Kennedy called up the reserves and declared a national emergency or whatever it was called at the time. I don’t think that the [West Berliners] were ready to go to war. They were dismayed, of course, but they were waiting to see what the Allies would do. They hoped that the Allies would take a strong position but at the same time I don’t think that they wanted the Allies to start fighting. They would be the first to suffer and they knew that. I think that they were worried about their own security, primarily, and those worries were eased and allayed by…the sending of the battle group and Lucius Clay [Commander in Chief, U.S. Forces in Europe and military governor of the U.S. Zone in Germany from 1947–49 who was sent by Kennedy to Berlin in 1961 to report on the situation; he also orchestrated the Berlin Airlift.]. Q: Were you looking for a possible exodus from West Berlin? BOEHM: We were looking for signs of that. There wasn’t any. There was no mass exodus from West Berlin…. Everybody was dismayed by the human consequences of the wall.